Everything was nice,hotel its located near to beach and also near to all shops, restorants and places where you can have fun. The location was great. Close to the village center but quite at the same time. It’s close to the beach too. The staff was really friendly and willing to help. There’s free parking. The pool was clean. The room was spacious with kitchenette. Big and comfortable beds. Bathroom was nice and big. Excellent value for money! 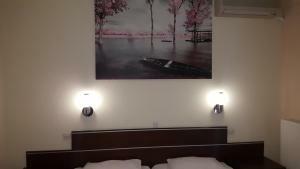 Hotel Oceanis was our best stay in Greece so far. Good location, nice, cozy and clean room...and the owner of the place was very kind and helpful...Great value for money! The quiet location has been described many times. It is great. And I have had small problems on arrival which were all solved comfortably. Great. The hosts were very welcoming. The hotel was nice and quiet. Very good value for money. Highly recommended! 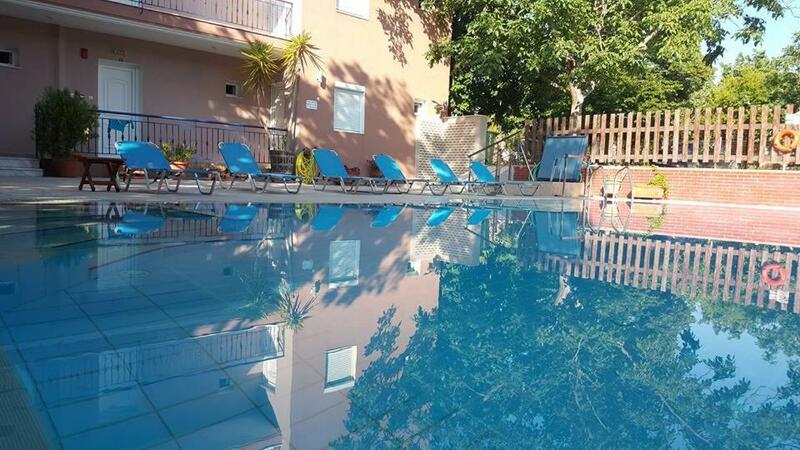 excellent location!in the heart of Kallithea walking distance to all restaurants, cafes, bars, transportation but also on a silent, green, peaceful street.walking distance to the beach and also a few km away from many beaches. Wide private parking place. Cleaning is good. The room is wide. 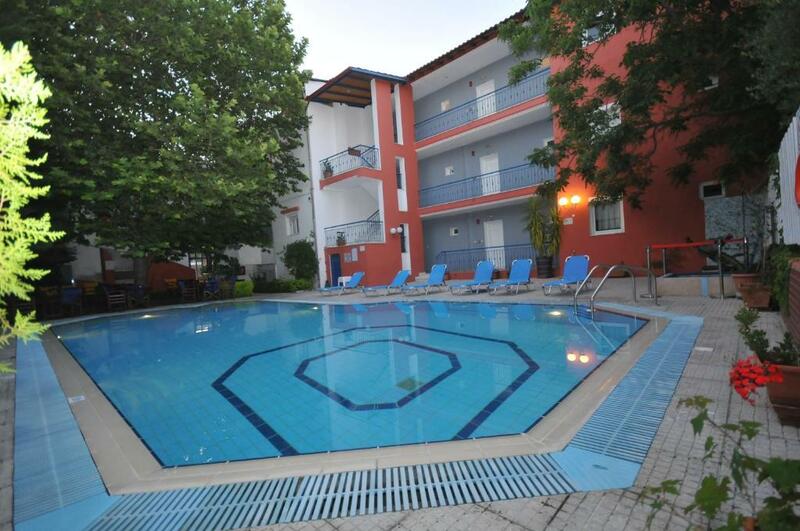 Lock in a great price for Hotel Oceanis – rated 9 by recent guests! One of our best sellers in Kallithea Halkidikis! 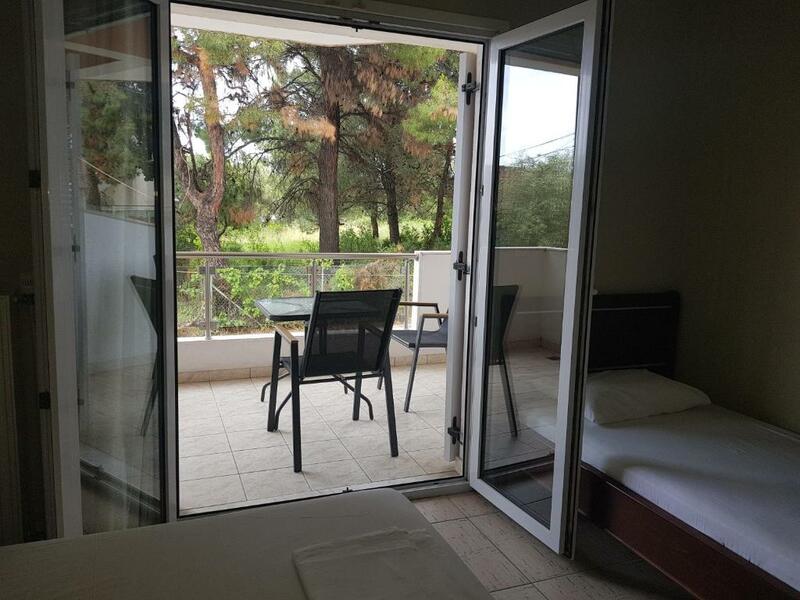 Within 550 feet of the beach of Kallithea, Hotel Oceanis offers rooms and studios with air conditioning. It has a swimming pool, a poolside bar and provides free Wi-Fi access. Bright and airy, the rooms and studios in Oceanis have a dining and a seating area, while most come with a kitchenette. Facilities include a flat-screen TV, fridge and hairdryer. All units also have a furnished balcony enjoying views of the surrounding area. Guests can enjoy a coffee, snack or evening drink at the seating area around the swimming pool under the shade of the trees. The center of Kallithea is 150 feet away and offers many bars, cafes and restaurant. 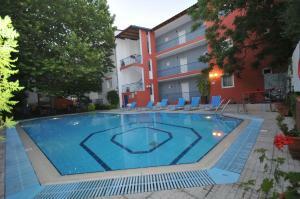 The hotel also serves as a convenient base for exploring the beaches of Kassandra Bay. Afytos beach can be reached within a 5-minute drive away. Free on-site parking is available. 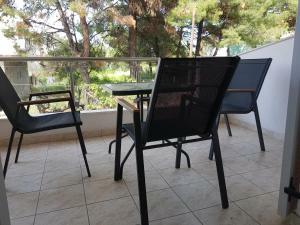 This property also has one of the top-rated locations in Kallithea Halkidikis! Guests are happier about it compared to other properties in the area. 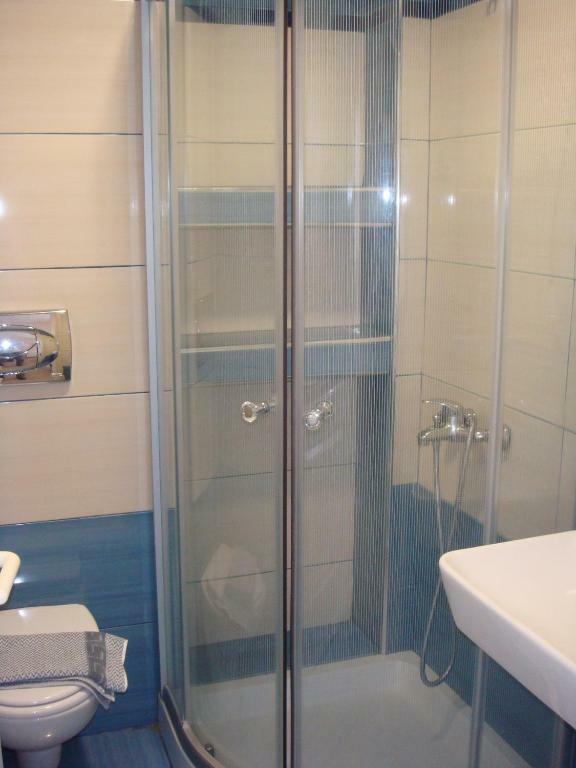 뀐 Located in the top-rated area in Kallithea Halkidikis, this property has an excellent location score of 9.4! 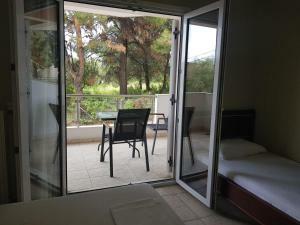 Airy and bright studio with furnished balcony overlooking the hotel grounds. It is air conditioned and has a kitchenette with mini fridge and dining table, Its private bathroom has a shower and a hairdryer. Please note that there is no kitchenette in this room type. Bedding configuration is upon availability. Located 4 steps below the ground floor, this air-conditioned studio has a private entrance and a kitchenette. Please note that the swimming pool operates from 1 June to 1 October. Please note that the property has the right to pre-authorize your credit card at any time after booking. Please note that unaccompanied guests under 18 years old cannot be accommodated in the property. Please inform Hotel Oceanis of your expected arrival time in advance. You can use the Special Requests box when booking, or contact the property directly using the contact details in your confirmation. 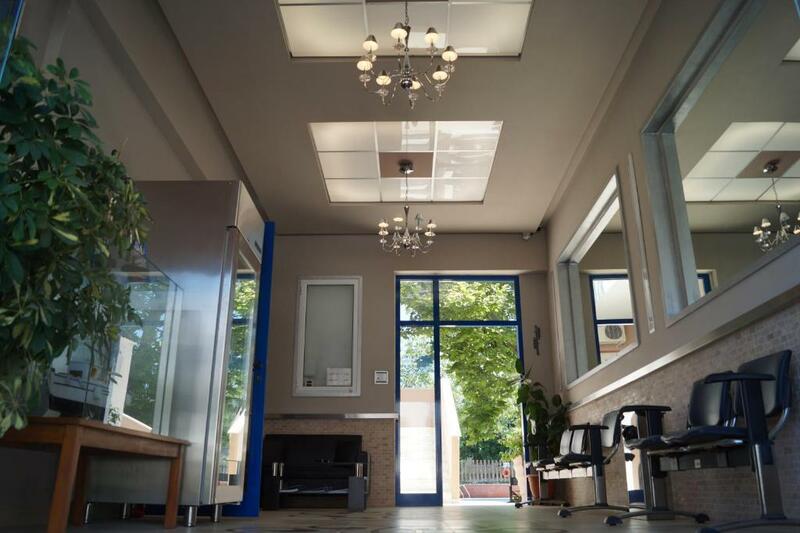 A good location, cleanliness and the coffee. Swiming pool work hours .That period when you coming back from beach and you want to relax ,its close for using . I was hugely disappointed that the pool wasn't filled!!!!! It is the reason I booked this hotel. I know it is early in the season but nothing was mentioned when booking the pool may not be in use... The whole place lacked atmosphere. Although the owner was polite and helpful it wasnt a friendly place. I have never given a negative account on anywhere we have stayed before, but this just wasn't the place it appeared on the website! Wifi signal was weak. Light in the room was not enough. Bathroom and pillıws should be more comfortable.